Live the downtown lifestyle of your dreams in this hip, historic penthouse loft in the center of everything! 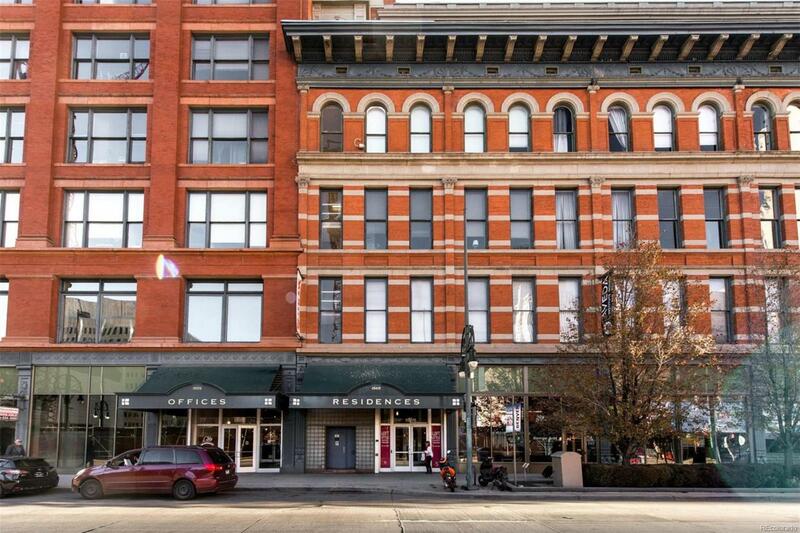 Built in 1903, the Denver Dry Goods Building is an architectural landmark with a prime location steps from the 16th Street Mall, Light Rail, Denvers Theater District and countless phenomenal restaurants, cafes and fun shops. Offering exceptional character and style, the loft features soaring, 12 ceilings, track lighting, hardwood floors and a huge, private terrace with fabulous city and mountain views. Other highlights include 1 covered parking space, controlled access building with coded elevators, shared rooftop deck with hot tub, guest suite, fitness center and a private storage space.